Applying grounded theory, we comprehensively categorize capabilities needed for market-shaping and synthesize them into a conceptual framework that describes the process and its outcomes. We establish that in order to improve value creation in a market, market-shapers must consider a larger system of relevant stakeholders, recognize the institutional arrangements governing their behaviors, and foster new resource linkages within and across stakeholders. Based on our analysis, we identify eight triggering capabilities, which generate new intra- and inter-stakeholder resource linkages by directly influencing various characteristics of the market, and four facilitating capabilities, which enable market-shaping by discovering the value potential of new resource linkages and augment the impact of the triggering capabilities by mobilizing relevant resources. We show that triggering capabilities are context-specific, whereas facilitating capabilities are generic. We conclude that there are performance outcomes of market-shaping not only for the shaping firm, but also for other stakeholders, and at overall market level. Satish Jayachandran served as Area Editor for this article. The online version of this article ( https://doi.org/10.1007/s11747-019-00643-z) contains supplementary material, which is available to authorized users. The authors would like to thank Melissa Akaka, Luis Araujo, Roderick J. Brodie, Karen Fernandez, Pennie Frow, Hans Kjellberg, Cristina Mele, Jakki Mohr, Kristian Möller, Adrian Payne and Jaqueline Pels for their support during the research process and comments on earlier versions of the article, and the editor, area editor and three anonymous reviewers for their help in developing the manuscript. We also acknowledge the input of the participants in the first workshop of the Market Shaping and Innovation (MASHIN) special interest group of the Australian & New Zealand Marketing Academy (ANZMAC). This research is funded by a Marsden grant (UOA1333) from the Royal Society of New Zealand. VP, marketing & business dev. Manager, R&D & product dev. Modifying business models: developing products, adjusting price or pricing, and modifying matching methods for supply and demand. Specialized and cross-functional marketing capabilities (Morgan 2012). Value innovation (Matthyssens et al. 2006; Kim and Mauborgne 1999). Business model conceptualizations: product, price, pricing logic, matching methods (Wirtz et al. 2016; Teece 2018). Business model innovation (Foss and Saebi 2017; Casadesus-Masanell and Zhu 2013; Chesbrough 2010). Creating new revenue models and finding new partners (O'Connor and Rice 2013). Matching methods key to market design (Roth 2008). Modifying network structure: modifying the focal firm’s own supply network, modifying various customer-side features, and modifying provision; i.e. ; the availability of competing offerings. Elimination or functional modification of suppliers; new web of stakeholders (Jaworski et al. 2000). Adding activities linking activities differently, changing the parties that carry out activities (Amit and Zott 2012). Resource configuration theory (Sirmon et al. 2011). Get access to and orchestrate, resources controlled by others (Amit and Han 2017). Ability to create value or innovations dependent on complementary resource providers (Adner and Kapoor 2010). Infrastructures are needed to access resources (Teece 2007). For demand to emerge, there must be sufficient and credible supply (Agarwal and Bayus 2002). Influencing−various representations that portray or characterize a new or shaped market, and influencing the norms, or the rules of the game. Representational practices (Kjellberg and Helgesson 2006). Labelling strategies: claiming, disassociating and hedging (Granqvist et al. 2013). 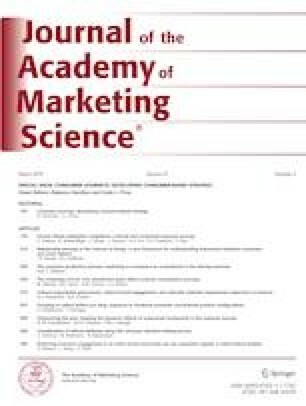 Performativity of market research (Jacobi et al. 2015; Diaz Ruiz 2013). Markets are shaped when new resource linkages become institutionalized (Wieland et al. 2017). Institutional work (Lawrence and Suddaby 2006) or entrepreneurship (Battilana et al. 2009). Institutional innovation (Hargrave and Van de Ven 2006). Exploring resource potentiality: recognize the system-wide availability of resources that can enable increased value creation. Sensing capabilities (Morgan 2012; Day 2011; Teece 2007; Slater and Narver 1995). Creative capability: ability to recognize the value of resources before competitors (Collis 1994). Foresight: foreseeing shape of future before it materializes; insight: uncovering ways that give birth to the future (Zahra and Nambisan 2012). Distant search (Nelson and Winter 1982) to discover alternative development trajectories (Afuah and Tucci 2012). Higher-level generative or expansive learning (Engeström 2001; Senge 1990). Experimenting to learn with the market: probing the market with new approaches and adjusting approach based on stakeholders’ response. Gain insights by relying on frequent and systematic experimentation (Day 2011; O'Connor and Rice 2013). Network learning: not learning within networks but as networks (Knight and Pye 2005). From learning ‘about the market’ toward learning ‘with the market’ (Storbacka and Nenonen 2015). Path creation, actively creating and testing new opportunities (Luksha 2008). Expressing: purposeful authoring of meanings that resonate with relevant stakeholders. Signaling theory (Connelly et al. 2011). Symbolic action (Zott and Huy 2007; Santos and Eisenhardt 2009). Collaborative processes of sense-making and sense-giving (Gioia and Chittipeddi 1991) to support cognitive shifts (Foldy et al. 2008). Frame alignment in social movements (Snow et al. 1986). Engaging: redirecting stakeholder resources from existing uses through collective action and distributed leadership. Resource mobilization theory: redirect resources from existing uses to new ones (McCarthy and Zald 1977). Stickiness of resources (Penrose 1959). Network inertia: existing network perceived to generate synergies (Kim et al. 2006). Distributed leadership: enable many market participants to influence how the market develops (Gronn 2002). Collective action to create material and so Dia- cognitive market elements (Lee et al. 2018).